Murder C.O.D. is a fast-paced and exciting TV ,ovie. The plot is about Alex (Devane) who is a hit-man. After he does a random killing, he sends the other grieving family members a bill for $100,000. If they don't pay up, Alex will frame them for the murder. 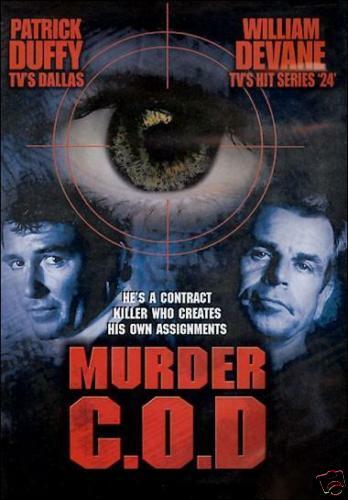 Patrick Duffy plays the detective who has to stop him. The plot is original, and William Devane plays the hit-man with pitch-perfect precision. Duffy also puts in a good performance as the detective. If you want a cool mystery that has you on the edge of you seat, this is it. Cool! Does she have any interesting stories from being an extra?